Hello ladies~(///∇//) !! 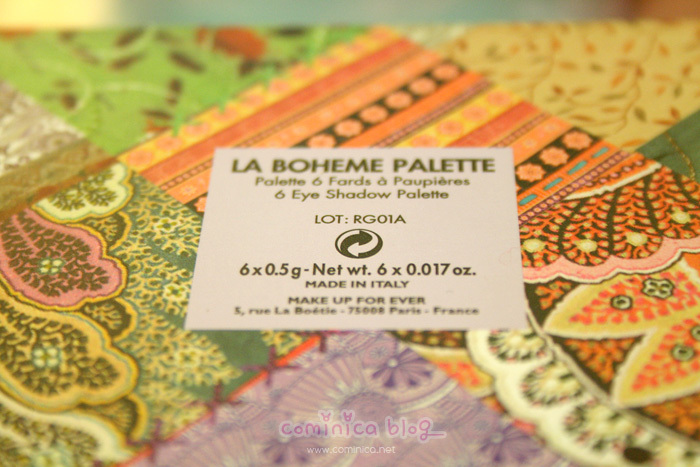 So, yesterday I was invited to Make Up Forever pre-launched La Boheme spring 2012 collection, this collection is inspired from Bohemian and limited edition. This spring, the Bohemian is back. The floral motifs, ethnic and gypsy influenced, handmade embroidery, patchwork and prints. Make up forever launched an eyeshadow palette, two original Rouge Artist shade and an eye pencil in a limited edition. A collection inspired by nature, to let your beauty desires blossoms and give new form to the bohemian spirit. Entire collection, they only available until the end of February. So, If you live in Indonesia, don't hesitate to visit their boutique at Plaza Senayan, Jakarta. Get it as soon as possible, lol. For the price, the palette is about 525.000 idr. The rouge artist is about 250.000 idr, I'm not sure about the eyeliner but yeah it's around 225.000 If I'm not wrong. 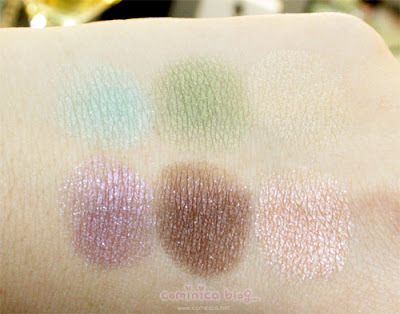 Waterproof formula and highly pigmented! The collection and the new Make Up Forever Eye Primer. La Boheme Palette is a limited edition must have spring palette, it feature six versatile eyeshadow shades in a great new baked formula. This will give you a lightweight, pearly shining with an ultra silky feel. 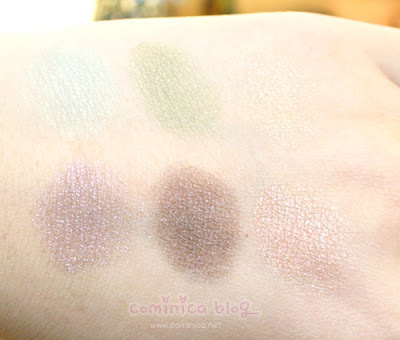 Swatch on hands without anything. 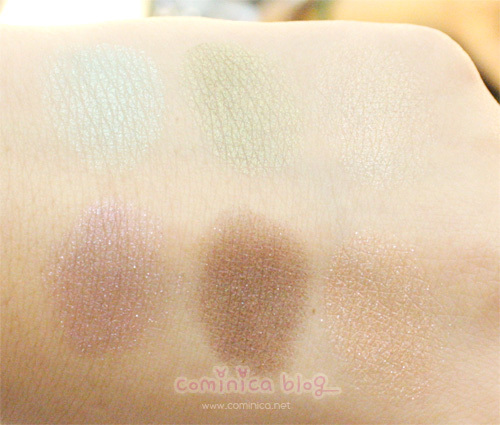 After put Make Up Forever eyeshadow primer, see how the color pop but still look natural. This eye primer is matte and doesn't feel oily at all. Rouge Artist Natural lipstick is an ultra creamy, translucent lipstick that colors your lips in a discreetly tinted and delicious crystalline shine for an unpredecented fresh lip effect. The La Bohème Rouge Artist natural swatches. I really love this lipstick, the MUA there's apply it on my lips, She mix the two color of it and my lips look so natural. It looks so bohemian >‿<, makes me remind of my uni time when I was still in college I was into Bohemian style.◕ ‿◕ This is so nostalgic, you can see it how it looks on my lips here. I really want to bought the rouge artist yesterday, but I remember I still need to pay my auntie for buying me something, so I stopped. Maybe after CNY I'll think about it again, because I really want to get Candy Doll lipstick instead lol. You know I'm really addicted with Japanese brand ≧△≦. My Lip color before put the rouge artist. A baby pink color. MY FOTD after put the Rouge Artist. And If you realize it, my hair color is getting more lighter and orange now!! Arghh, I'm going to dye it brown again and highlight it before Chinese New Year, lol. The roots is annoyed me, but actually I've got many compliments with this hair color x_X. I love the neutral colors they've come out with. They look like they'd be very easy to adapt to not only a bohemian look, but any sort of natural look for everyday wear. Thank you for sharing! Is so nice your lis-color! I'm looking all of your make up tutorial!! I really like so much your blog! People giveaway on my blog! You look so pretty Cominica! The palette's packaging is so cute - the colors are really pretty and perfect for springtime. I really love the lipstick color on you too! I like you look good with any hair colour! :P AND ZOOOMMMG how fun that must have been to go to this event!! TBH I haven't tried much of MUF but I know their liquid foundation is AMAZING. easy on the eуеs which maκes it much more enjoyable for me tο come herе and ѵisit moгe οften. Did you hіre οut a designer to create уour theme?